Entrenched in the lush green forests and complemented for the superior elegance, Shaam-E-Retreat offers a range of choices in accommodation from the standard class to the Deluxe and Premium rooms, all facing towards the valley. 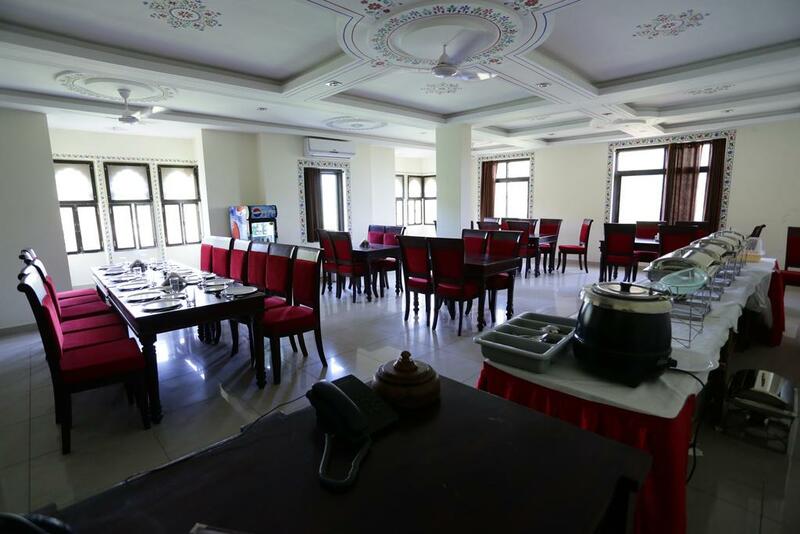 The hotel is located just 3.5 kilometers short of the world famous Kumbhalgarh fort, which is a heritage site included in the hill forts of Rajasthan (Western India). Offering a glorious view from balcony and garden area, all our rooms are adorned with traditional characteristics yet replete with modern amenities. Besides, the (sq.ft.) of internal and external spaces make Shaam-E-Retreat an ideal destination for holidays, meetings, conferences and social gatherings. Make your stay nostalgic with rejuvenating effect of Kumbhalgarh’s exotic natural splendors, forts and temples or just comfort yourself with the complementary gallery and incredible blue skies. Restaurant, Beauty Services, Arcade/Game Room, Laundry Facilities, Currency Exchange, Doctor on Call, Disabled Facilities, Room Service, Coffee Shop/Cafe, Backup Generator. Dustbins, Complimentary Newspaper, Cable/Satellite TV, Air Conditioning Room, Refrigerator Room, Ceiling Fan, Desk, Internet Access, Daily Room Cleaning, Complimentary Toiletries. User reviews for "Shaam E Retreat Hotel Udaipur"